Crest Realty went to Out of Bounds Creative, to have a website created. Crest had a very specific set of requirements. 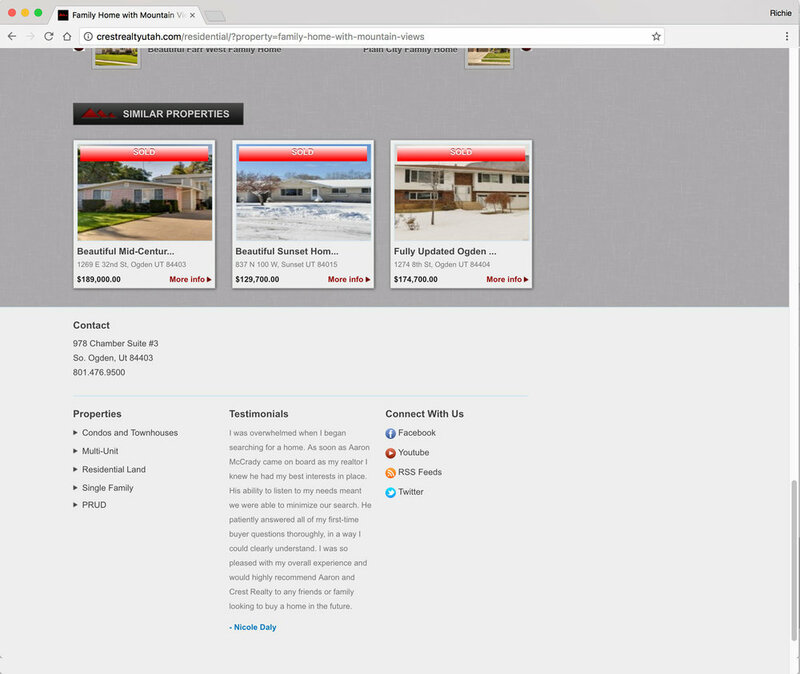 The site needed to have a content management system, where agents could have their own sign in and create listings. Listings needed to support full image galleries, house specs, and tie in to their MLS listing. Wordpress was selected as the content management system. I was responsible fore creating a full template that was extensible enough for Crest to have their agents create their own listings, without having to give them full Word Press access. I was able to create a largely wysiwyg front-end editor tied into wordpress. The client was satisfied enough with the site, that they had us build another site using the same template, for their commercial real estate division. I was responsible for the entire project, from client meetings, server setup, design, and deployment.